Wouldn't you love to be more organized? The problem is that it takes a lot of time and effort to get your life together. It's easy to spend on your free time trying to build up good habits only to slip back into old, bad ones. So it might be time for you to try using an app to help boost your productivity by getting more organized. Organizational apps can help you build better systems and habits to make you more productive in almost any facet of your life. We've picked out a few that will help you plan trips, stop procrastinating and respond more effectively to e-mail. If you're having trouble keeping your family's calendar or just want to save some time in your day there's an app for you. Read on for some of the best organizational apps we found to help you straighten out your life. If you are a frequent traveler, you may find it hard to keep up with all your reservations, flight confirmations, car rentals and activity plans. With Tripit, you can forward everything trip-related to the app and have it at your fingertips when it comes time to depart. Tripit transforms your e-mails automatically into a master itinerary. You can view your itinerary from any device, even when offline. Once you’ve completed your trip, you can view it again to remember the name of a favorite restaurant or a hotel you want to book again. While not intended as a trip diary, you’ll also find it can be a handy place to upload all your great vacation photos and notes about favorite places you’ve visited. You can share to social media from the app and let your friends and family enjoy the photos as well. If you opt for the premium version, it also lets you track your frequent flyer and reward points. 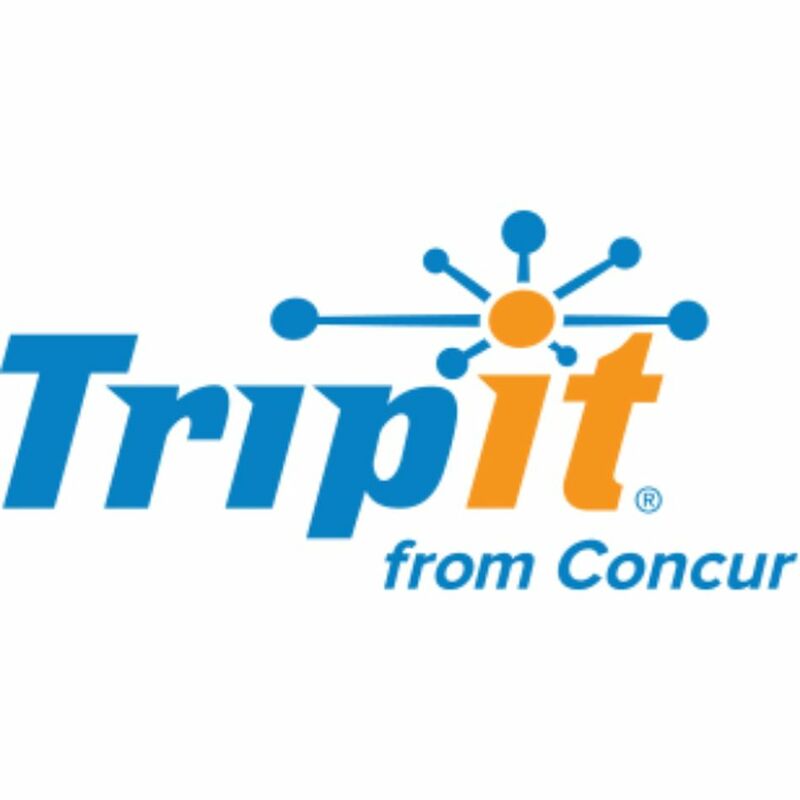 There is also Tripit for Teams for group travel, which streamlines travel plans of work or social groups. The basic version of Tripit is free and Tripit Pro runs $4.09 per month. The road to becoming more organized starts with building better habits. HabitList allows you to list habits you’d like to improve, whether it's exercising more, eating healthier or just getting chores done. You set your habit along with how often you’d like to do it (daily, weekly, monthly, etc.). The app will send you reminders to stick to your good habit along with motivational tracking and trends regarding it. Flexible scheduling allows you to choose from three types of schedules: specific days, non-specific days or intervals depending on how often you need to perform a task. You can view your history to see how well you are keeping on task, while HabitList tracks your personal best and total completions. If you need to be pushed to develop better habits, this app is a great tool to help. HabitList has a subscription fee of $3.99. How much time do you spend going through and deleting unwanted e-mails that clutter your inbox? Unroll.me compiles all of your e-mail lists subscriptions into one daily e-mail. It gives you greater control of your e-mail lists, letting you unsubscribe from all of your unwanted e-mails in just one click and organize the rest. The e-mails you choose to keep getting are consolidated into a daily digest e-mail called the Rollup. Unroll.me is a free subscription so there’s no reason you can’t start uncluttering your inbox! After you start getting your life more organized, you may find that you still have trouble with procrastinating. Procesterapp is an app that helps procrastinators get back on track by offering helpful suggestions to diagnose the cause of your distraction and help you continue with the next step of your task. Some of the common reasons for procrastinating are listed as choices: My task is too big, I don’t know where to start, I’ve made a mistake, I have to finish or I have to be perfect. There is a feature for setting up recurring tasks and projects which will send you reminders for when items are due. You can allot yourself a certain amount of time to complete a task and watch the clock tick down. If you manage to stay on task, Procrasterapp lets you set rewards to stay motivated. Helpful stats let you see how well your productivity is progressing over days, weeks, months and even years. Procrasterapp is free. Venmo is a free digital wallet app that allows you to keep track of bills and split payments without having to sign into a bank account. With Venmo, you can send money and make purchases at stores that accept it. You can pay friends and family with a Venmo account using the money you have in your account or with a linked bank account or debit card. Putting an expensive dinner on your credit card? After you receive payments from your friends, you can transfer the money from your Venmo account into your bank account. All you need is a Facebook account or e-mail address to sign up for Venmo and to start making or receiving payments from any who also has an account. A nice feature of sending money through Venmo is that the fees are waived, so it is free. There is only a standard 3 percent fee which applies to credit cards. Many places that accept PayPal also now accept Venmo payments. Transferring money only costs $0.25 for each instant transfer. RescueTime is designed to do exactly what its name suggests, save you time. It records your digital footprint and keeps track of everything you do online—on websites and applications—and how much time you spend doing each activity. This includes time spent answering e-mails, posting on social media, working in excel, etc. You will receive detailed reports on your daily activities. Once you see how much time you spend doing various online activities, you can make needed changes to get your time back and increase your productivity. You can also see which days you are more productive and how this relates to your online activities. Get your time back and create a balance between work and personal time. RescueTime is a free download on Google Play and Amazon Kindle and it's also available for organizations. Do your to-do lists sometimes get out of hand? Things 3 is a great organizational app that helps you break down your to-do lists into manageable tasks. You have a master checklist for every project you are working on. Your “today list” is the place you will go to find your to-dos for the day. Design your calendar in the order you want to see your events: personal, family, work and more. Set up a separate to-do list for evenings only for tasks that you need to handle when you get home from work. Rank your tasks in order of importance and day by day, you’ll find yourself becoming more organized and able to work through tasks that at first seemed overwhelming. Things 3 is a free download available through the Apple App Store. Any parent knows that organizing family activities is no easy tasks. There are so many schedules to juggle—extracurricular activities, family functions, sports activities, school events and the list goes on and on. Cozi is a family activity app that will help you with scheduling all the doctor's appointments, youth soccer games and more on a daily calendar that sends you reminders so that you’ll never miss an important school function again. There is also a place to keep photos and recipes. Anyone in your family can access the shared calendar and you can share tasks with other family members—such as a grocery list—so you can get help going through your errands. The family journal lets you keep and share family moments that you don’t want to forget. Cozi is a fun app to use that will help you get organized so you can spend more quality time with your family. Cozi is a free download on Google Play, Apple iTunes and Amazon Kindle.